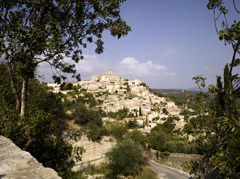 When Peter Mayle’s ‘A Year in Provence’ entered the international bestsellers list, the popularity of Provence only increased. Provence in the Southeastern region of France has a unique fascination for tourists and travelers from all over the world. The lavender fields and the Mont Saint Vincent are trademarks of Provence. Provence is the third most important region of France with a population of 4.7 million. It is incorporated into the Provence-Alpes-Cote d’Azur region or the PACA for administrative reasons. Provence is also among the top 20 European regions. Its capital Marseilles is the second-largests city in France. Its 2600-year-old port is the largest in the Mediterranean. At the time of the French Revolution, the rebelling natives sang La Marseillaise, today’s national anthem of the country, and marched to Paris. Considered as the most important tourist region of France, the other notable cities of the region are Avignon, Nice and Toulon. Marseilles hosts several museums including Musee d’Histoire de Marseille, which has the two-thousand-year-old Roman merchant boat, found at harbor bottom in 1974. The French Riviera is a long-time-sought destination for the elite and the well-to-do. Also known as Cote d’Azur, visitors here can expect high-end resorts, elegant casinos and designer boutiques. 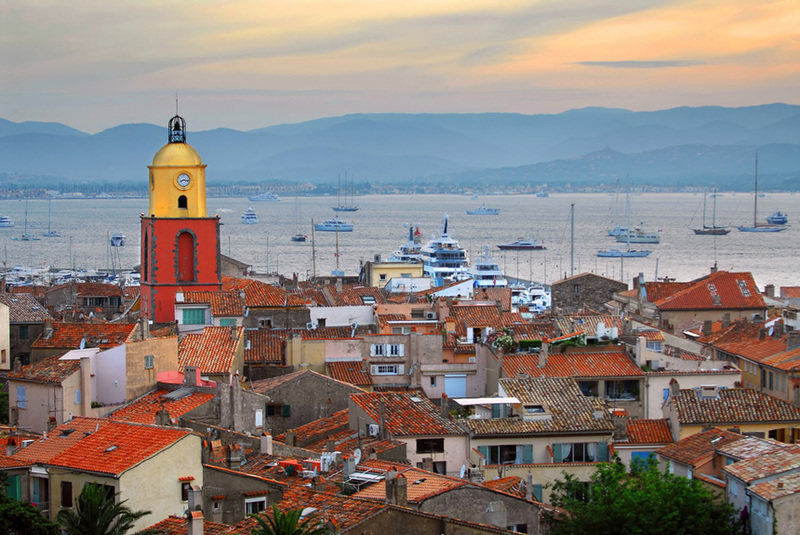 Cannes, which hosts the world-famous international film festival, is also popular for its resorts and its highest point Le Suquet, which overlooks the city’s beaches. Although Nice has cradled human civilization for over 400,000 years, it was only in the 19th century that it gained a positive reputation as an excellent destination. Its Promenade des Anglais is very popular for a stroll, which guides one past the palace museums, glamorous apartments and hotel buildings, without loosing sight of the Mediterranean. The Cathédrale Orthodoxe Russe St-Nicolas à Nice was constructed by Czar Nicolas II and is attributed to the days of Belle Epoque. The cathedral is considered as the most beautiful one outside Russia and has plenty of Russian art. Its onion type domes can be spotted from anywhere in Nice. Toulon is also an interesting town, an important port and has a naval base too. 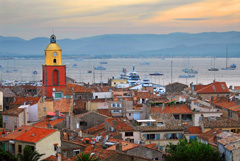 The Veille Ville or the old town is large and offers a combination of a Provencal village and a typical French seaport. The old town has innumerable nice squares, which are fun to explore even without the help of a map. One can find the trompe l’oeil wall murals, which are very elaborate and large. At Vatel, there is a three-dimensional galleon mural, with the sailing ship front protruding from the wall. Avignon is a town you wont feel like leaving too soon. And if you are in the town on a short visit, it is most likely that you will feel reluctant to leave. Avignon is a UNESCO world heritage site. The town offers a unique shopping experience with pedestrian streets that have all kinds of shops and where no automobiles are allowed. The theatre and dance festival of Avignon or the Festival d’Avignon is now an international festival and occurs all over town. The Requien Museum is a large herbarium with a worldwide collection of botanical, geological and zoological species. In the inlands of Provence, Grasse has a splendid climate appropriately suitable for flower plants. It is the central point of France’s perfume industry. Indeed it is the perfume capital of the world. At about 15 km from Cannes, Grasse is also just a 30 minute drive from Nice. Here you can feel clean air with the smell of flowers. Its altitude of about 300 to 400 m, gives the town a fresher climate than that of the beach. Among the people who have vacationed in Grasse are Princess Pauline Bonaparte in 1807 and Queen Victoria who stayed at the Grand Hotel. The old town of Grasse is extremely beautiful and interesting, with its narrow streets meandering among the 17th and 18th century buildings. The endless streets sometimes pass through tunnels and sometimes lead to large squares. There is a three-tier fountain in the principal square Place aux Aires. Around 600 B.C., Greeks from Asia Minor established a Mediterranean seaport called Massilia, which soon came under Roman rule. Gallia Narbonensis was a Roman Province encompassing the South of France, from the Pyrenees to the Alps. The area was very important and close to Rome and was referred to as Provincia or province in the day-to-day usage. The term La Provence became popular in French and is still used today. Roman civilization flourished in this part of Souhtern France and evidence of that can still be seen today. Fine classical remains can still be observed around the lower Rhone Valley and include the amphitheatre at Orange, Port du Gard aqueduct, the arena at Arles and the fascinating Roman remains at Nimes. Until the 15th century, Provence was not a part of France. It was one of the regions most fought over after the fall of the Roman Empire. During the reign of Charlemagne, the European emperor, Provence was part of the Southern region of the ‘middle empire’. In the latter Middle Ages, the area around Avignon belonged to the Popes who had their residences there. Most of the Provence region became a part of France only in 1486.